It seems like practically every week, some organization reports it has experienced a cyber security issue. Yahoo’s 2013-2014 data breach affected about 3 billion accounts, while the 2017 Equifax incident affected about 143 million people, reports CSO. Are you listening, Security Integrators? But for law enforcement, traditional security and emergency management professionals who are more accustomed to being responsible physical the physical safety security of their campuses, they might think they don’t have to worry about cyber security. They should think again. The threat is very real, especially now that so many devices are connected to the Internet, including security cameras, communications equipment, access control, fire systems, intrusion detection solutions, lighting systems, heating, air conditioning and ventilation systems, televisions and more. Security integrators would be wise to start caring more about data breaches. To find out more about this issue, CI sister magazine Campus Safety (CS) spoke with Chuck Davis, who is Hikvision’s director of cyber security. He is also an adjunct professor at the University of Denver where he teaches cyber security best practices. In this exclusive interview with CS, Davis talks about the importance of cyber security, as well as the devices and systems that could be vulnerable if a hospital, school or university doesn’t take the necessary steps to make their internet-connected equipment more secure. CS: Why is maintaining cyber security in a video surveillance system so important? Chuck Davis: Video surveillance systems, just like all systems that are part of the internet of things (IoT), are actually computers, so we tend to forget that all of these devices that we’re connecting to IP networks and they’re adding all this great functionality to allow us to remotely monitor or control them are actually computers. 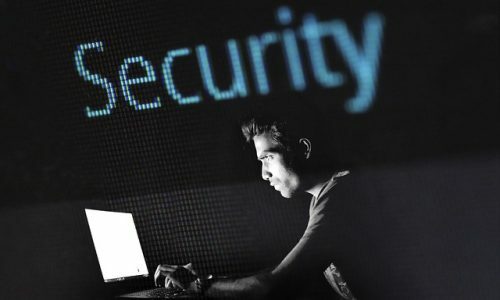 They have operating systems and they will have vulnerabilities, and so if we don’t take our proper due diligence and protect those things and really apply cyber security best practices for security integrators, we put them at risk of being attacked and could be the way that a campus or an organization is attacked through the internet. CS: So when we’re talking about vulnerable systems, we’re talking about heating and ventilation and air conditioning systems, lighting, different types of things that you might not think would be connected to the internet, right? Davis: Sure. They all fall under the internet of things or IoT devices, and so now we’ve got this great internet and we’ve got amazing capacity to remotely connect and control these systems, but we have to get in the mindset of understanding that this is part of our enterprise infrastructure. This is part of our IT systems, so your cyber security teams at your universities or your organizations should be monitoring traffic, looking for intrusions or hacking or malicious and suspicious activity in those networks as well as the networks that have laptops, desktops and servers. This story premiered on our sister site, Campus Safety. This article was originally published at Commercial Integrator on 05/07/2018. It was added to IoTplaybook or last modified on 05/09/2018.